This booth is designated to purchasing, promoting and tweeting within the Bonanza Community. Stewarts doesn't have any items in their booth! Always a PLEASURE to do business with, you a very good repeat customer! Thank you! GLAD you are here…. This seller is what Professionalism is all about. Top rated Seller, Fantastic Customer Service and Wonderful to do Business with. Would highly Recommend!!! he Reputable MONTROSE, with OvER +200 Endorsements, ALL of which were individually executed by the “Willing MEMBERSHiP” with a request for ACCEPTANCE, allows my continual journey to 0ffspring} Self-empowerment, Confidence and SUPPORT donating tireless ongoing hours to Bonz-Community via 1-on-1 &/or thru uNiTY for betterment of site & member booths. 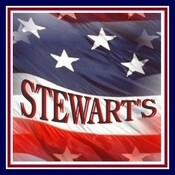 MEMBER==> (Stewarts) is another true example of professionalism and demonstrates what real seller-role models should be. I reconfirm and APPROvE this Personal eNDORSEMENT to be accurate. Stewarts is the Sweetest and charming person with a great heart and soul. Very hard working and friendly. You can never go wrong in transacting business with her. Just a great person a wonderfull friend and a sweet heart. I feel like I need to endorse this great person and her booth..she is a tireless worker on projects on Bonanzle..Her personality is top notch and its just a pleasure to be associated with her..
Well what can I say except that Stewarts aka CalendarChick is one fantastic woman. She certainly works hard here at Bonanzle having taken on several projects and doing an exceptional job. She is a terrific woman in many ways, kind, good hearted and sincere. You can tell this in her postings and comments and she has a wonderful sense of humor as well. I know that she is a good business person and well respected. She has wonderful sports memorabilia and other collectible merchandise in her booth so I know you wouldnâ€™t be disappointed if you purchased from her. Iâ€™m proud to call her a friend! Stewarts has been such a wonderful Bonanzle friend and an excellent seller and buyer as well! Knowledgeable and Friendly with great business values! Stewarts truly is a good soul! An honest, friendly person is such a treasure. I’m glad to have made friends with Stewarts. I’ll find none better…Two thumbs up! What a genuinely nice person Stewarts is! She is one of the friendliest people I have met here on Bonanzle. Responds quickly to e-mails and is very attentive to her business! SHe is a true gem and I highly recommend her! She is a huge asset to Bonanzle! What is a good friend? Well there is a lot of ways to define what a friend is but one of the simplest ways to know,is are they there for you when you are feeling down. When I needed a friend, Stewarts was one of the Best of them! This is a great person that you can trust and wont turn their back on you when you need help. Would I tust buying from Stewarts? You can bet on it! and I will also bet,that you can also.